The Swedish lapphund has its origins among the ancient hunting tribes of northern Scandinavia, from the land that the Sami people call Sapmi. One assumes that the lapphund followed the first people, who migrated to Scandinavia in the mesolithic era, about 9,000 BCE. In Sami mythology it is said that the lapphund sought the post of worker amongst the Sami people in exchange that it would always be well-treated. The lapphund has been used mainly for hunting and guarding, but studies have also shown that during the Stone Age, dogs were kept as pets. When the Sami people started to keep domestic reindeer in the mid-18th century, the lapphund's repertoire was expanded to include herding. Historians and archaeologists have long agreed that the Swedish lapphund has an ancient ancestry - a belief supported by the fossil record. Advancing gene technology has also shown that the breed is old and carries some genetic origins unique or very rare among currently existing breeds. Hard work in the barren landscape of northern Scandinavia has created a very resilient breed. The shifting climate demands a weatherproof coat that is easy to maintain. The rough terrain and the varied work demand a dog with endurance, agility, intelligence and independence. 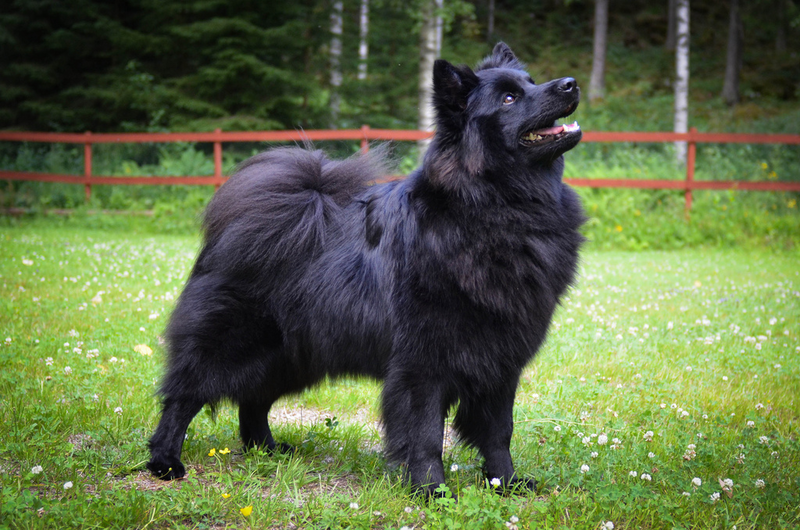 The resulting Swedish lapphund is a well-rounded working dog, well suited both for work as a farm, hunting, and herding dog, and as a pet.